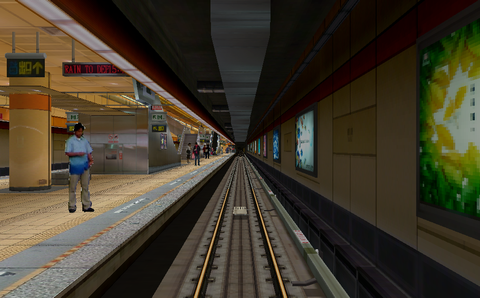 The TRTC Zhonghe line in the Taipei subway for the class C301 subway train. The line starts at the Guting station and then goes to Nanshijiao. Beautiful simulation with a detailed route of the highest class. About the Zhonghe line at Wikipedia. The line is no longer available from the creator's web site, which has disappeared from the Internet >10 years ago. Send mail to info@openbve.net for further information on where to get this route.